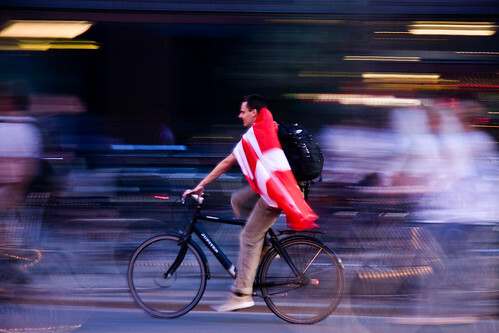 Yes, yes... we know Denmark crashed out of the World Cup. Sigh. Nevertheless, when we do play in the big tournaments, we get right into the mood, like anywhere else. Here's some shots from the last match against Japan, taken on and around the City Hall Square where thousands watched the matches. 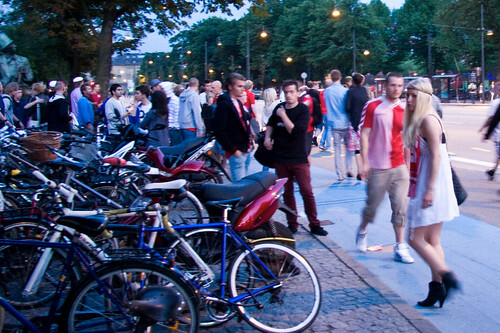 The shot above was taken after the match, when Copenhageners headed out into the city for a night out. This was taken before the match. Heading off somewhere to watch it with friends. 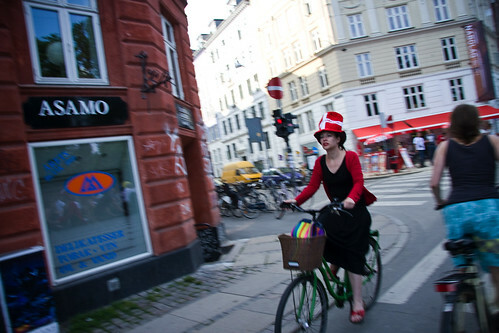 Another Copenhagener heading home - or out on the town - after the match. 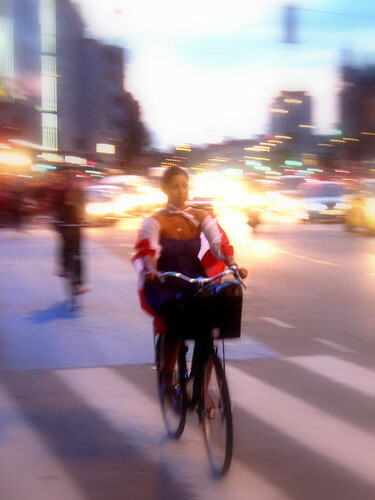 After the match the tricky bit can be finding your bicycle. 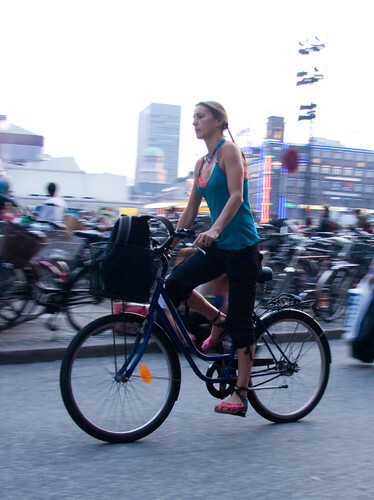 When more than 20,000 people converge on the City Hall Square - most of them on bicycles - good luck! This girl got away early. 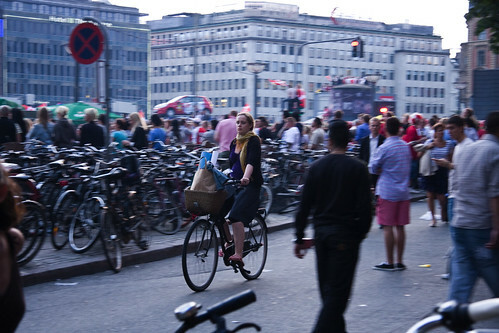 But this girl was looking around all the bike racks for hers. She found it eventually. Cykliści żyja piłką jak widać! Ale dobrze ze nie podbijają piłki w czasie jazdy!